Players looking for a little help with how to make their cash game sessions more profitable should head over to Americas Cardroom and check out the new “Dusty´s Poker School” training videos that have just been published on the site. 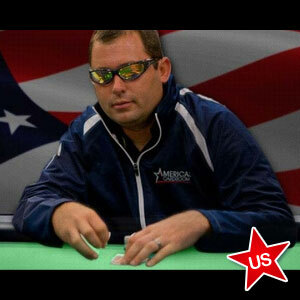 The two 45-minute videos feature Americas Cardroom´s site ambassador – Dusty “LeatherAss9” Schmidt – as he plays four tables of various stake ranges and formats, discussing his betting actions based on pot odds, hand reading and bet sizing. Despite moving down from his usually lofty high-stake levels to play on tables with blinds starting from $0.25/$0.50, and – for the sake of the videos – playing a little more aggressively than he normally would, Schmidt makes a profit in both videos despite being unfamiliar with the players he is playing against. In the first video, Schmidt plays solely 6-Max NLHE at the most popular tables on Americas Cardroom – $0.25/$0.50 and $0.50/$1.00 – and deliberately gets himself into some spots most players would avoid in order to explain all the options available at any given stage. In the second video, Schmidt includes a 6-Max table at $1.00/$2.00 and a full-ring table at which he plays much tighter so that he can focus on the 6- Max action and elaborate more on his thinking behind his betting decisions. He demonstrates the importance of avoiding big mistakes, while still engaging in some creative betting based upon his opponent’s most likely holdings. Unlike some training schools, neither of the videos has been edited to highlight the big hands (or the winning ones! ), and they reflect genuine sessions in which players will be card dead for long periods of time. When tough betting decisions arise, Schmidt also sits out from a couple of other tables in order that he can provide an insightful recap of what just happened, and his reasons for playing the way he did. What Else is New at ACR? More “on its way” than new, Americas Cardroom is in the process of changing its software so that when an opponent calls your bet on the River and loses, his cards will not automatically be mucked and will appear in hand histories. The significance of this is that players will be able to get a better understanding of their opponents´ betting actions, and being able to see other players cards at showdown (when they are still involved in the action) will help to prevent chip dumping, soft play and collusion. It is hoped that the software changes will be implemented in time for Americas Cardroom´s forthcoming “High Five” tournament series (starts Wednesday June 11), which offers a total of $420,000 in guarantees over twenty-five events including the $150,000 guaranteed Main Event on Sunday June 15.